Contact Clean Emissions today for more information or to place your product order. Clean Emissions Products Inc. has set the industry standard in product availability and production lead-times. 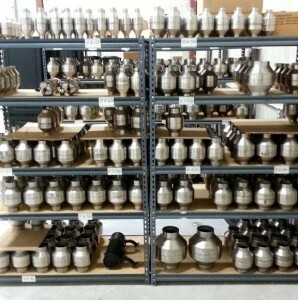 With our extensive stock of standard inline catalysts, custom catalysts and catalytic mufflers, we can generally ship within 30 minutes of receiving an order. With our real-time shipping software, we can have our catalyst on your machine by the next business day! After all, we understand that idle machines mean lost revenue. As a leader in the catalytic converter market, we are dedicated to providing our customers with effective and timely emission solutions.